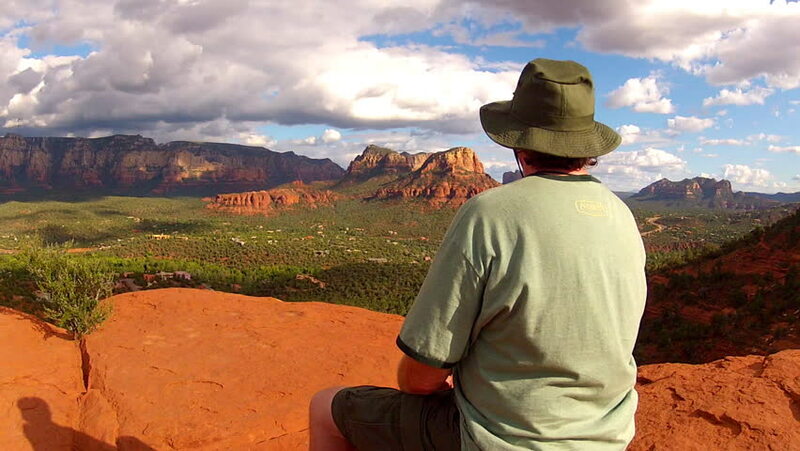 Shot of a man sitting on a ridge top and admires the Sedona Arizona View. A generic looking nature explorer rests and takes in the glorious natural view of the red rocked hills. hd00:20baby boy looks at the mountain landscape in Spain. Is playing in the mountains.